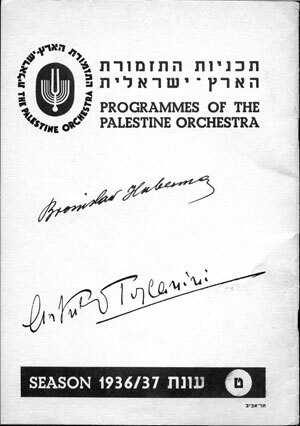 There is no commercial recording of the Palestine Symphony Orchestra’s first season of concerts that began December 26, 1936, and continued through January 1937, conducted by Arturo Toscanini. We can however hear the works the symphony chose for its very significant inaugural concert. 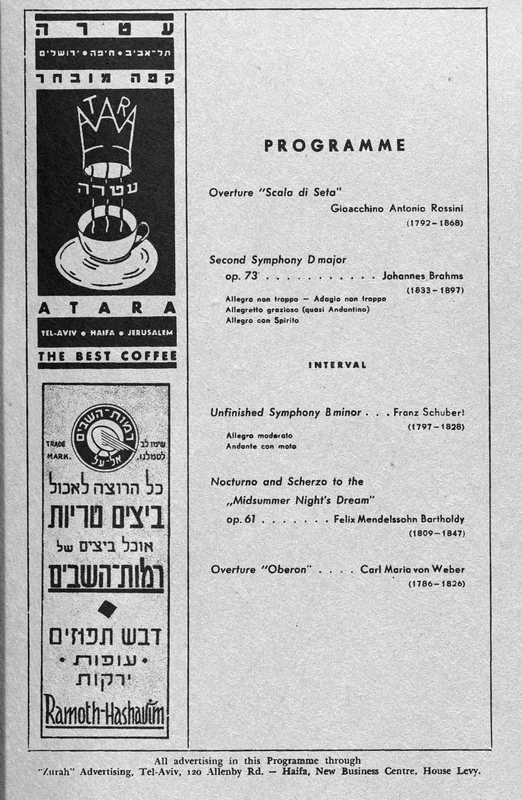 The first Palestine Symphony concert in Tel Aviv was attended by 3,000, including British High Commissioner Arthur Wauchope, Chaim Weizmann, David Ben Gurion, Golda Meier and Tel Aviv’s Mayor Dizengoff. In an effort to recreate classical music history, we’ve curated a Spotify playlist that features the works that millions of listeners around the world heard in broadcasts from Palestine, now Israel. Arturo Toscanini chose the selections, and pointedly included a work by Felix Mendelssohn (“A Midsummer Night’s Dream”) because the composer was Jewish and Adolf Hitler had banned Jewish composers from German concert halls. Both Toscanini and orchestra founder Bronislaw Huberman signed the program seen on this page. 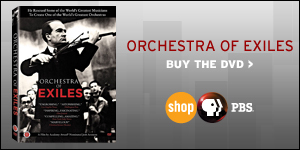 In 1948, the orchestra became the Israel Philharmonic Orchestra. 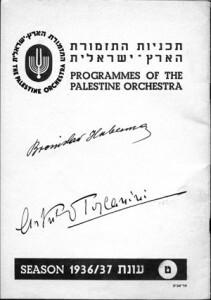 Scroll through the orchestra’s very first program below, which lists in English and Hebrew the members and the orchestras and groups they played with prior to forming the Palestine Symphony Orchestra. Click magnify icon at bottom left of document to enlarge text.